I stepped out of the house the other day feeling pretty good in this outfit. 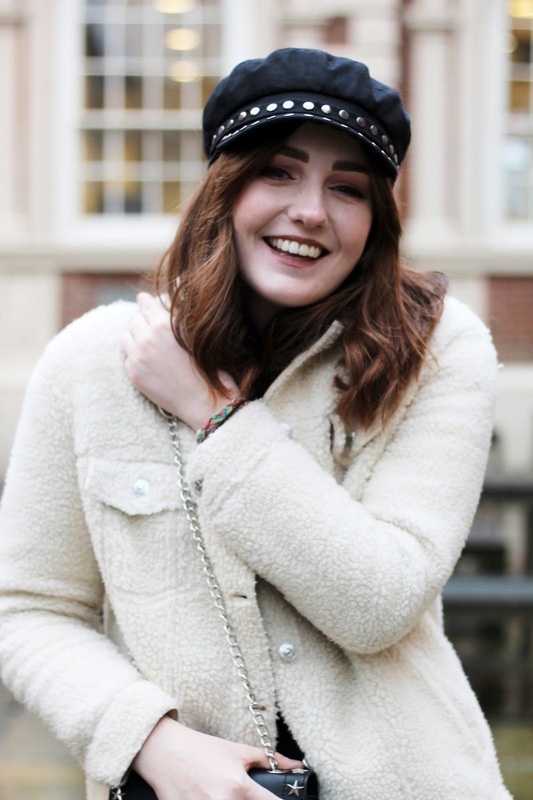 As I've said a hundred times over on this blog, my clothes give me confidence, and on occasion, wearing a particularly trendy piece really does make a positive difference to how I feel. It was only when looking back on these pictures to edit them, I thought 'am I a sheep?' I mean, look at what I'm wearing here. 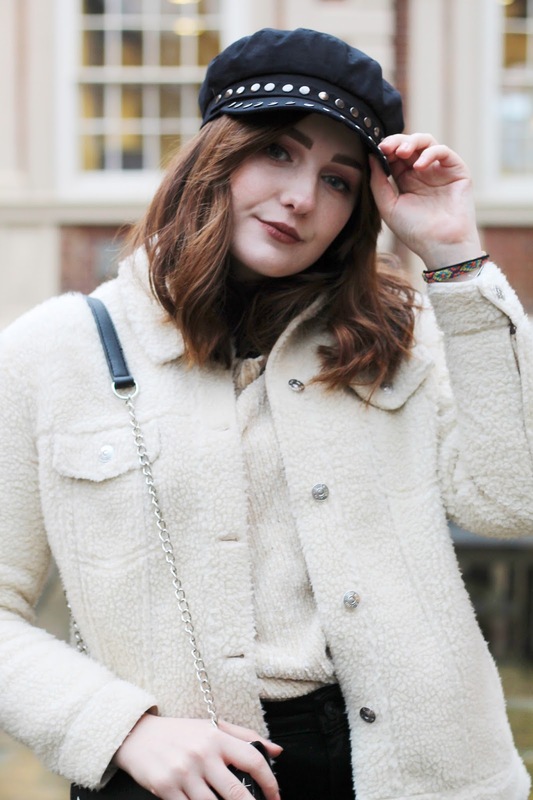 There's so many trends to tick off the list: bakerboy hat, borg jacket, chenille jumper, cropped jeans, stars, and ~those~ boots for good measure. Okay, I know these are from a few years ago and aren't exactly an original, but you can go into pretty much any shop on the UK high street at the moment and find a pair freakishly similar. And that made me think, is blogging, and in particular, Instagram, making me lose my identity? Of course 'losing your identity' is a pretty deep and serious thing, and I don't think Instagram is making me lose all sense of who I am, by any means, but am I becoming more of a sheep trend wise because of it? I used to pride myself on dressing a little bit 'kooky'. You OG readers might remember my more colourful outfits and the famous pom pom headband of 2014. But this outfit, whilst I still kinda love it, could be from any single one of the thousands of fashion bloggers on Instagram. Even as I'm writing this I'm undecided on what that means - have I seriously lost my sense of individuality or am I just growing up? Obviously growing up doesn't mean you have to tone down your colour palette and put the pom poms away, but has working in an office and trying to actually look my age (despite approaching my mid twenties I'm often mistaken for a 17 year old) made me dress differently? These questions aren't even rhetorical btw guys, I'm genuinely struggling to decide. Have any of you thought these things about yourself or others before? WHAT DOES IT ALL MEAN?! Individually, I love all of the pieces of this outfit. Whilst being particularly on-trend, I do think I'll love them months and even years down the line. 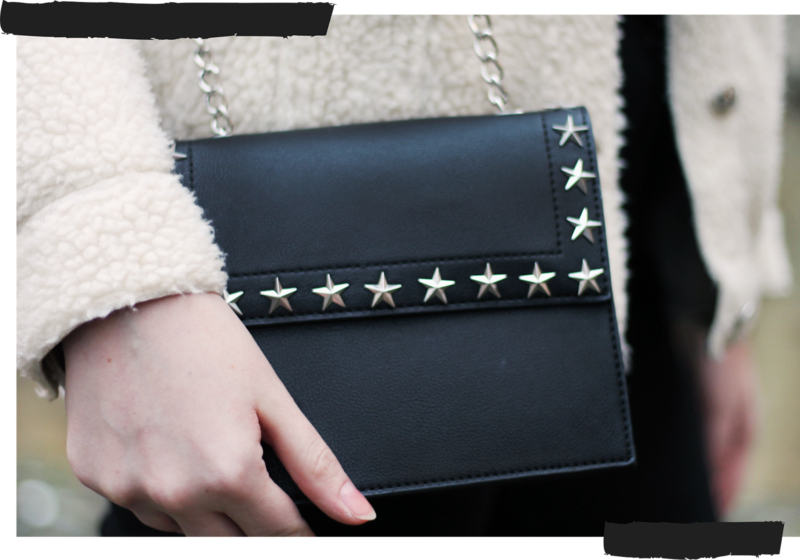 To be fair, the star detail bag isn't even mine, it's Beth's, but I knew it would look cute so I asked to borrow it, so that's okay, right? It's just when you piece them all together, is it really me? If you asked me to describe my style, I'd struggle. I may have said this before, but the two things I'm influenced by the most are seventies style and skaters. I grew up listening to pop-punk, and still do on a daily basis, and after visiting California last year, I want to be a cool skater more than ever. And if you ask me, the best style decade to date has been the seventies. 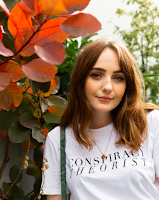 Abigail from Blush and Noise did a great post on seventies style the other day which you should all go check out if you're a fellow 70s fan. But does this outfit have much of either of those things? The borg jacket, sure, totally seventies. And I guess the studded hat, bag and shoes could be a ~very~ subtle hint to 70s punks. I don't know you guys, am I overreacting? Am I a sheep? In an industry where it's increasingly hard to build a following, I guess there's a pretty big temptation to stick to the formula of what works, doing your best to fit in and make it on Instagram. And can you really blame anyone for that? I guess we're not always aware when we're changing, or how much others can influence us. From now on, I'm going to take a step back whenever I'm considering buying something or whenever I'm putting together an outfit, and think, why am I choosing this? And does this suit who I am? If it doesn't, then what can I do to stay true to my style? Okay, that was a bit of a ramble, and with no real conclusion, but I don't know, maybe you feel the same way? I'd love to know your thoughts below. I know what you mean, kind of anyway. I don't post fashion posts on instagram but my beauty posts follow the same formular (over exposed, lots of white) a everyone elses. I'm definitely going to try to humanise my instagram a bit more this year! And. Even if this outfit is on trend, I still love it. Allie, you are definitely not a sheep, some follow fashion others create it, you're definitely in the latter camp. Love those boots almost as much as the snakeskin ones! first, i love this coat!!! but i can also see how you feel as if you have become a sheep, besides the fact that this coat is very fluffy and sheeplike. social media, especially instagram, has made it so much easier to follow trends, but i don't necessarily think its a bad idea. i mean it can still be used to inspire and influence and for the most part when we buy pieces i assume its because we genuinely like it, not just because everyone on our timeline has it? i don't know. i think you're on the right track with fully thinking through every choice before buying an item to make sure its still our own personal style. but just like you mentioned, this is also part of growing up. i mean like throwing out your pom pom headband. idk, i feel like i also went on a ramble here, but i guess i just wanted to say ur not alone n ur definitely not a sheep! !